Introducing Noise. 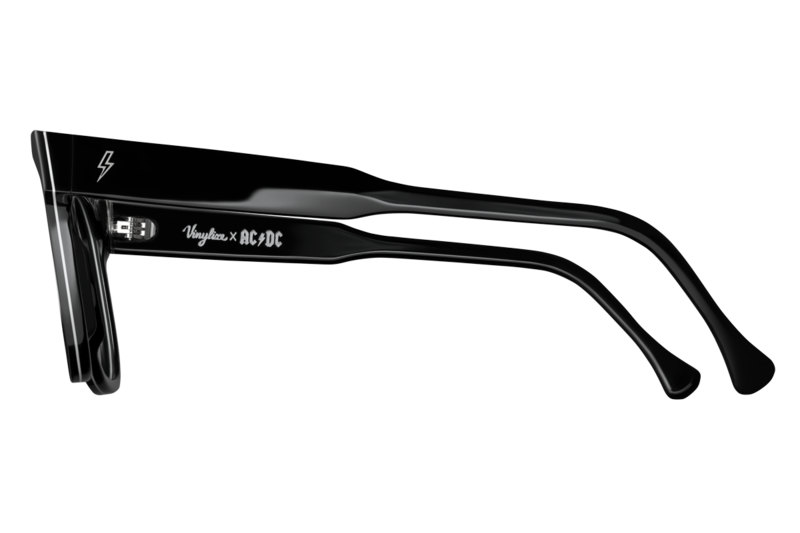 This uncompromising frame captures the AC/DC spirit with its timeless wayfarer shape and clean lines. 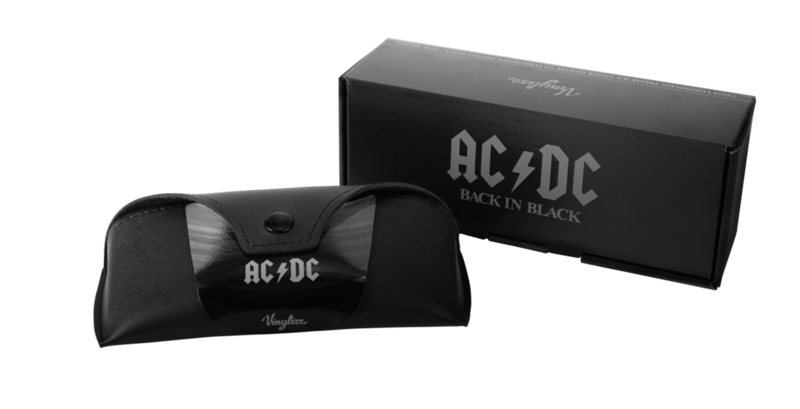 The frame appears as a bold black frame from afar, but the grooves of classics like Hells Bells and You Shook Me All Night Long can clearly be seen upon closer inspection. 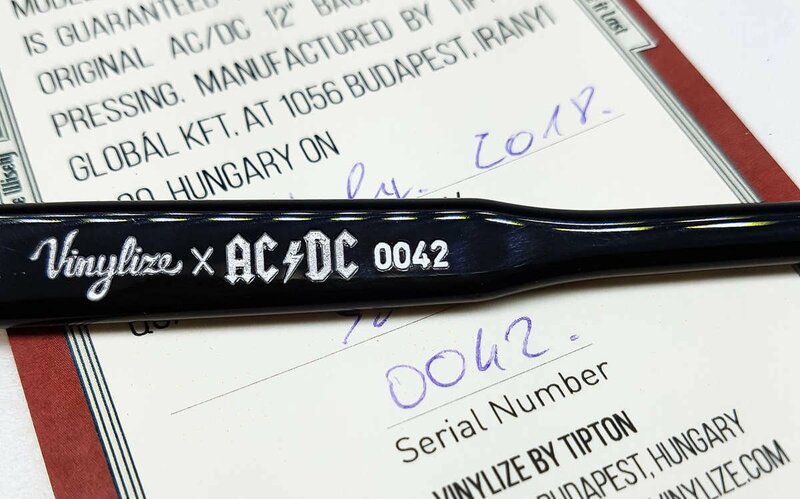 The frame also features the distinctive AC/DC lightning bolt inlayed in the temple. and our designer will respond to you shortly. Handcrafted in Europe. The vinyl veneer lends strength and durability to the frame ensuring longevety. 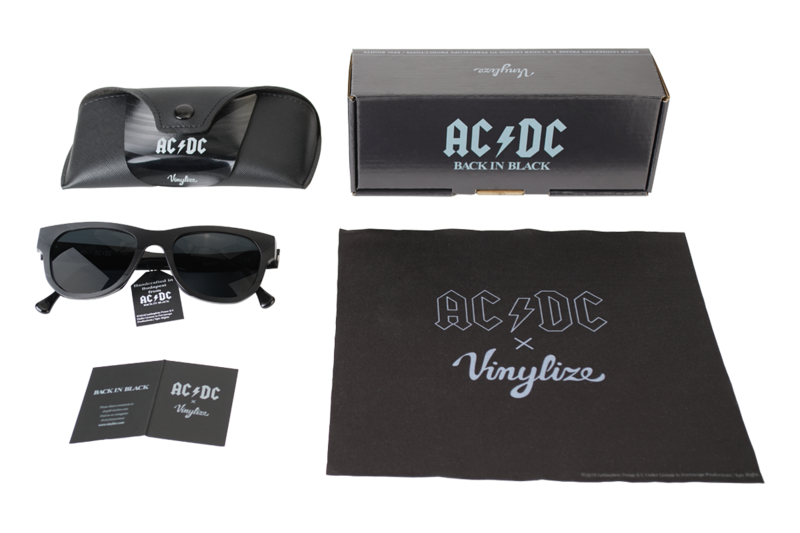 The vinyl is laminated to hypoallergenic plant based cellulose acetate making the frame robust and easy to insert prescription lenses into. 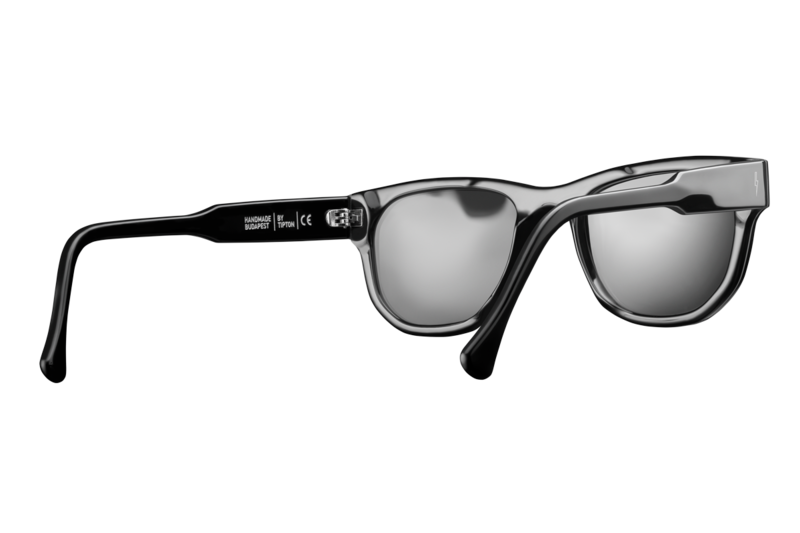 Built to last and suitable for fitting with optical lenses or ready to wear as sunglasses, these exclusive designs combine premium elegance with a genuine piece of music history. 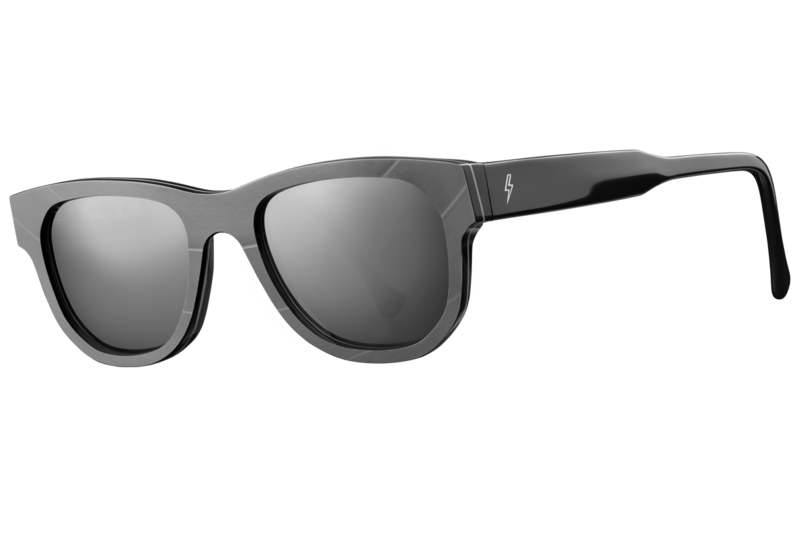 Equally at home in the office and the moshpit, they can be purchased ready to wear with polarized sun lenses or fitted with optical lenses by an optician for everyday use. The riveted robust Itailan hinges are time tested and true. 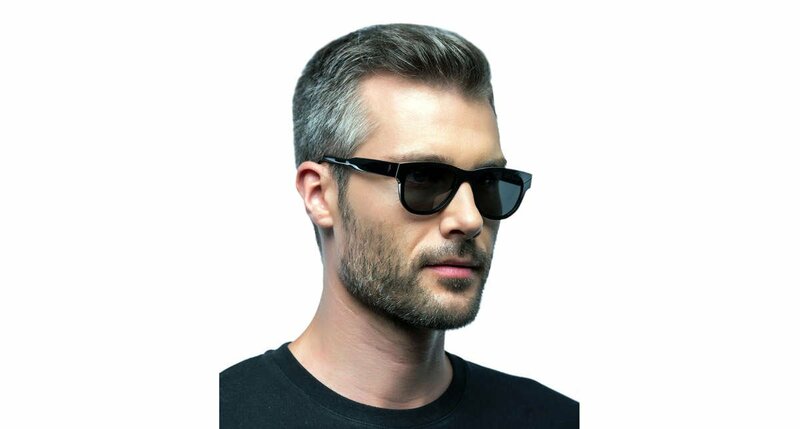 Simple and functional, they connect the sculped black acetate temples to the frame front. 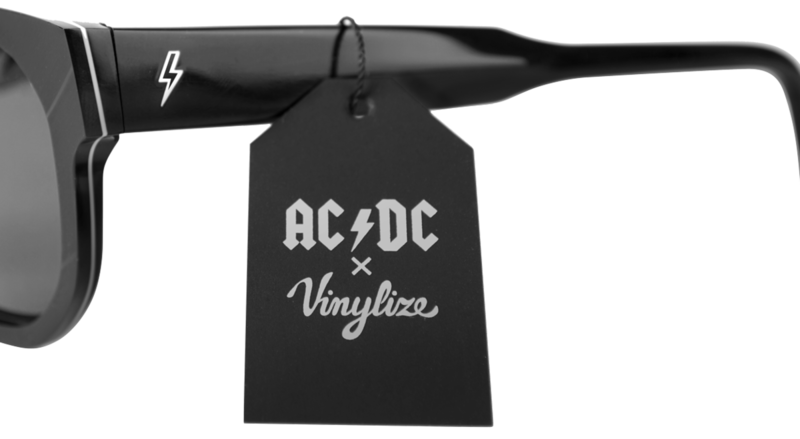 Vinylize frames are handmade in the heart of Europe by certified gold and silversmiths. Our unique production method is copied by many, perfected by none. 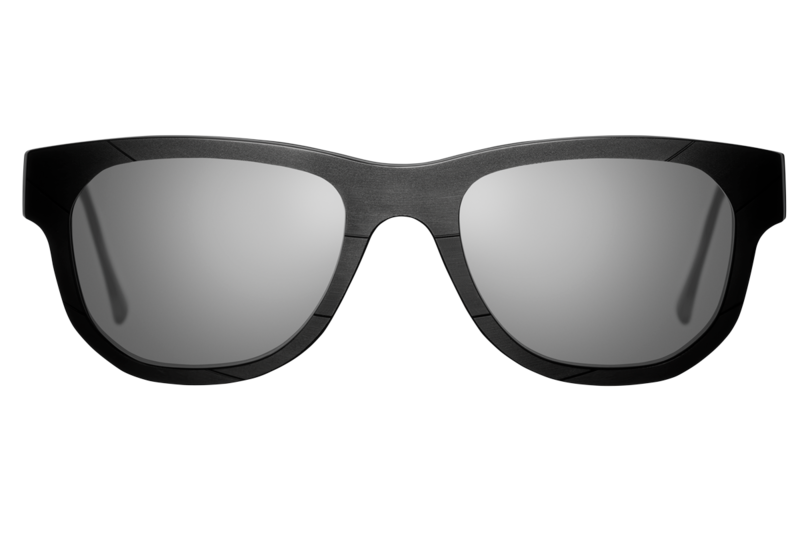 Each frame comes with a 2 year warranty.